Cuker is back after attending the 2012 OMMA Awards in New York City. 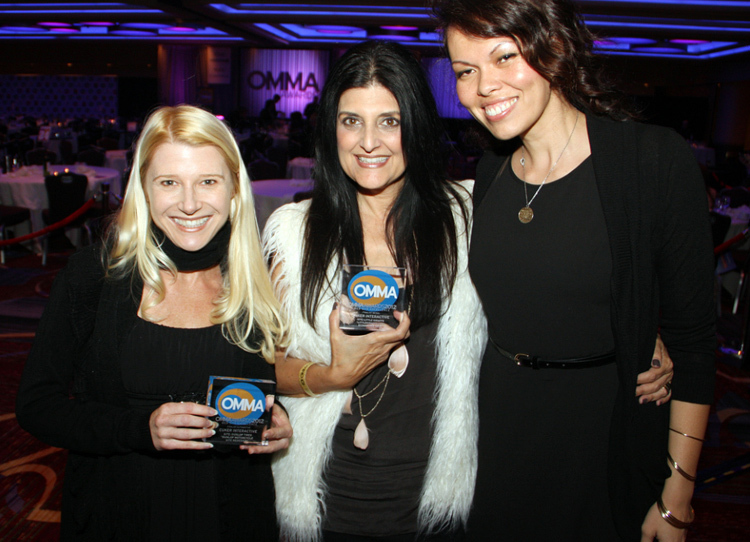 The respected Online Media, Marketing and Advertising (OMMA) Awards took place on October 1, 2012. It was an honor to be a part of the seventh annual celebration, and to be nominated along with clients Dunlop Tires and Little Giraffe for two awards in Web Site Excellence. For Dunlop Tires, the Cuker team was nominated for the website revamp of Dunlop’s motorcycle tire division. The new and improved DunlopMotorcycle.com includes photo galleries, team rider pages, a dealer locater, as well as a series of technical videos to feature the groundbreaking technology behind Dunlop tires. The site competed against Nissan and Jeep in the Automotive category. Nissan was awarded top honors. Cuker was also nominated for our work on eCommerce website LittleGiraffe.com. Luxurious children’s apparel brand Little Giraffe needed a new website that would expand their brand globally and provide a full-featured eCommerce store. LittleGiraffe.com features interactive product descriptions, a store locator, blog, and photo submission feature, as well as a complete online store. Fellow nominees in the category of Retail were Pier 1 Imports and Barneys New York. The award was presented to Barneys. Though we did not take any awards home, receiving two nominations in the Web Site Excellence category was a huge honor. These awards are given to web publishers and/or web developers whose outstanding content, visual design and user interface create recurring value for users. It was a privilege to be nominated, and we would like to congratulate Nissan and Barneys for their innovative work and top honors! Published on October 18, 2012 .